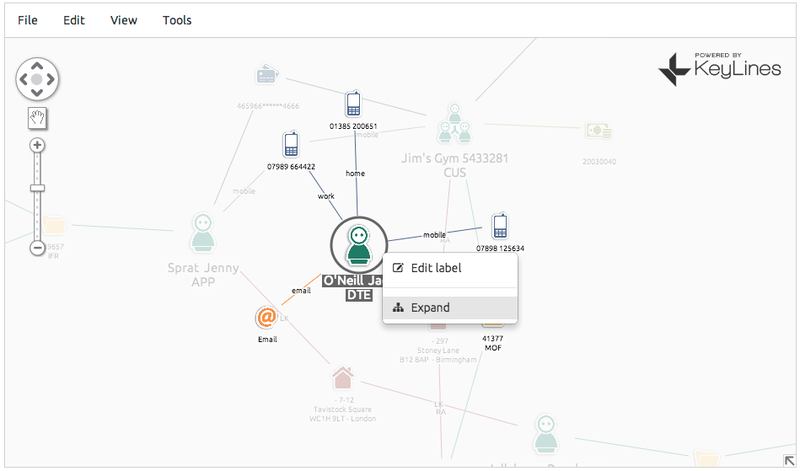 A screenshot from the KeyLines application used to visualize the UK’s national fraud database. In partnership with its 300 Members, Cifas coordinates a unique anti- fraud data-sharing scheme, known as the National Fraud Database. The database is used to collate intelligence on 250,000 fraud cases each year from across the private and public sectors. Details of known fraud, and known victims of fraud, are submitted to the National Fraud Database by Cifas Members. Other Members can then use this data to flag applications or transactions that require extra precautions. CGI, the multinational IT Consultancy formerly known as Logica, work in partnership with Cifas to manage their systems integration and database management activity. As the database had grown, Cifas sought to enhance its data reporting methods. “We knew we wanted to offer a more contextual view to the fraud data we hold. The most effective way of doing this was by incorporating a second level of data linkage – not just showing the direct ‘hits’, but also the connections from those hits to other entities. In mid-2012, Cifas’ Data Services Team approached Cambridge Intelligence to build an Application that could enhance the National Fraud Database with visualization capability. 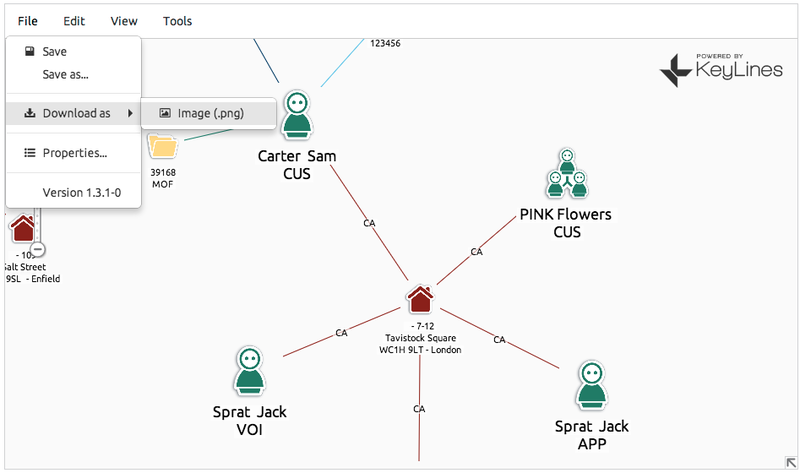 As part of the same project, Cifas was also seeking a replacement for i2’s Analyst’s Notebook, which was the visualization tool used by their internal analysts for law enforcement operations and fraud ring investigations. Using the KeyLines Software Development Kit (SDK), Cambridge Intelligence were to develop a web browser- based visualization Application. KeyLines’ unrivalled browser compatibility, ease of use, secure architecture and chart sharing capabilities were cited as central to its value proposition. Led by Cambridge Intelligence Project Manager Kaush Kotak, the project to build the Cifas Application would need to be completed within two months. After this point, CGI would work with Cifas to manage data integration. Ensuring high levels of usability and data clarity were critical success factors. An infrastructure was created whereby Cifas staff could access beta versions of the Application remotely, allowing rigorous user testing and feedback to take place without anyone needing to travel or set up complex testing infrastructure. The Application was successfully handed to CGI on time. Within a week of its launch, Cifas Members reported discovery of their first frauds using the new system. By integrating KeyLines visualization capability with the National Fraud Database, Cifas have given their Members an enhanced contextual view of fraudulent activity. With no specialist training, data analysts and fraud investigators can now use the visualizations to understand a fuller picture, allowing them to start the investigative process empowered with a holistic understanding of the frauds and the organized networks that lay behind them.